Back in May, Facebook at its F8 developer conference had announced that it would be adding group calling support for video on WhatsApp later this year. 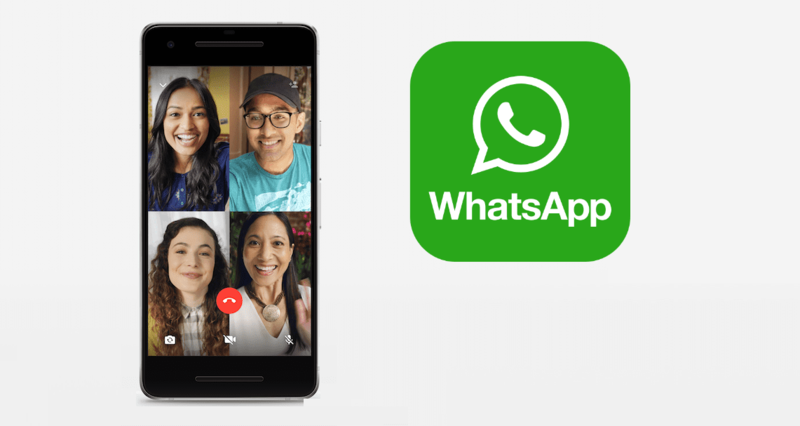 Starting yesterday, Facebook-owned WhatsApp has officially rolled out the group video & audio calling feature and made it live for users across the world on iOS and Android. This feature allows you to make a group call with up to four participants at the same time. In other words, only four people can be on the group video call simultaneously. “You can make a group call with up to four people total – anytime and anywhere. Just start a one-on-one voice or video call and tap the new “add participant” button in the top right corner to add more contacts to the call,” WhatsApp said in a statement. Currently, users make over 2 billion minutes of video and audio calls through WhatsApp every day. “Group calls are always end-to-end encrypted, and we’ve designed calling to work reliably around the world in different network conditions,” WhatsApp added. To make use of the feature, users will have to download the latest version of WhatsApp app from the Google Play Store or the Apple App Store. You can follow the below steps if you want to make a video call. Step 1: First, make a video or an audio call to a single participant, and then click on ‘Add Participant’ option at the top right corner of the screen. Step 2: This will show up your contact list and then you can choose your participants who you want to add on the group call. Step 3: Once the participant is added to the group video call, all the participants, including the new and those who are already on call will be notified by WhatsApp. The app allows to add only one person at a time. Once all the contacts are added, the screen is split into four on everybody’s device, where everyone can see each other. Note that only the first caller or the host, who started a conversation can add people to the video calls. Currently, Facebook Messenger supports group video calls of up to 50, while Snapchat supports 16 participants. On the other hand, Apple’s FaceTime will allow support up to 32 people at a time when iOS 12 is launched later this year.